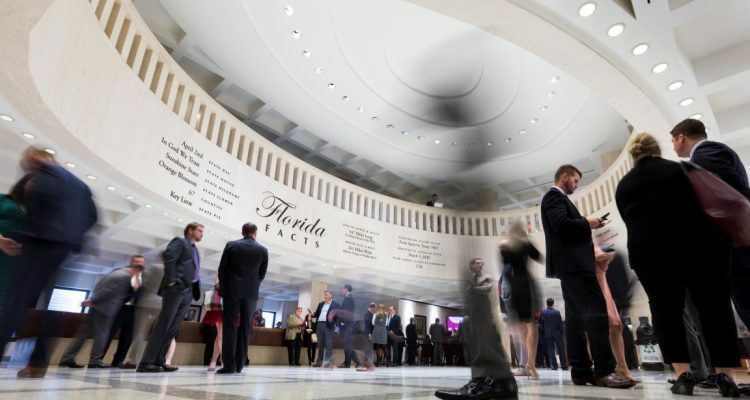 With Florida’s primary elections just three months away, intraparty sniping on the campaign trail is on overdrive, but the legal arena dominated the bulk of the action this week in and around the Capitol. The courts decided or considered a variety of issues, including issues once considered vices in some circles. But thanks to voters and lawmakers, issues such as ganja and gambling have morphed into mainstream activities. The week began when a federal judge reluctantly refused to keep secret the identity of a 19-year-old Alachua County woman who wanted to join a lawsuit filed by the National Rifle Association challenging a state law that raised the minimum age from 18 to 21 to purchase rifles and other long guns. In seeking to keep the identity of “Jane Doe” secret, lawyers for the NRA relied heavily on a declaration filed by the gun-rights group’s Florida lobbyist, Marion Hammer, who detailed threatening emails she had received featuring derogatory words for parts of the female anatomy. U.S. District Judge Mark Walker wrote that, if it were up to him, he “would not hesitate to grant the NRA’s motion,” pointing to “the harassment suffered by some of the Parkland shooting survivors” as evidence of “the vitriol that has infected public discourse” about guns. But legal precedent — which limits the use of pseudonyms to issues such as abortion, prayer and personal religious beliefs — forced him to side with the state, the judge wrote, prompting him to note that the courts haven’t kept up with the times. The dispute over Jane Doe, however, isn’t finished. The NRA gave notice that it will take the anonymity issue to a federal appeals court. Declaring that she “wasn’t scared to take them on,” Attorney General Pam Bondi filed a civil suit Tuesday accusing five of the nation’s largest opioid manufacturers and four distributors of causing the opioid crisis that is killing an average of 15 Floridians daily. 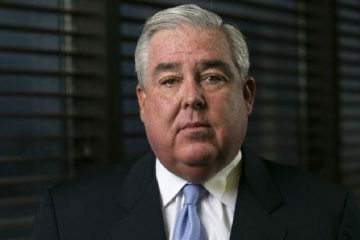 The lawsuit alleges that manufacturers Purdue; Endo Pharmaceuticals; Janssen Pharmaceuticals; Cephalon, Inc.; and Allergan plc — and their related companies — and distributors AmerisourceBergen Drug Corp.; McKesson Corp.; Cardinal Health, Inc.; and Mallinckrodt LLC violated the state’s unfair and deceptive trade practices laws and Florida’s criminal racketeering laws. The manufacturers “promoted misrepresentations about the use of opioids to physicians, other prescribers, and consumers that were designed to increase opioid prescriptions and opioid use,” the 54-page complaint, filed in Pasco County, said. The lawsuit also accuses the manufacturing companies of using “front organizations” to promote opioids and of paying alleged medical experts, called “key opinion leaders,” to publish articles that promoted the use of opioids to treat pain but omitted information regarding the risks. Other alleged misconduct includes misleading veterans about the dangers of mixing opioids with benzodiazepine, a drug commonly prescribed for post-traumatic stress disorder. Distributors are accused of filling suspicious orders and failing to properly assess customers before filling the orders, among other things. Smoke ‘em if you got ’em? A Tallahassee judge heard arguments in a case focused on whether Florida patients can smoke marijuana if their doctors recommend it. One of the plaintiffs in the lawsuit, Cathy Jordan, credits smoking pot with helping her defeat the odds in the battle against Lou Gehrig’s disease she’s waged for more than 30 years. The plaintiffs are challenging a state law that bans smoking pot as a route of administration for the hundreds of thousands of patients who are eligible for medical marijuana treatment in Florida. With her husband, Bob, serving as her interpreter during a trial Wednesday, Jordan told Leon County Circuit Judge Karen Gievers and a packed courtroom that she started smoking pot a few years after she was diagnosed with amyotrophic lateral sclerosis, or ALS, in 1986. Wednesday’s hearing came more than 18 months after voters overwhelmingly approved the constitutional amendment that broadly legalized marijuana for patients with debilitating medical conditions like Jordan. She said smoking pot works in a variety of ways to combat the symptoms of ALS, including excessive drooling, muscle atrophy and depression. “It just makes my life a lot more bearable,” Jordan, who uses a wheelchair and was draped in a fuchsia shawl, said. Lawmakers last year enacted the prohibition on joints — derided as “no smoke is a joke” by critics — largely to protect the public from the ill effects of smoking, lawyers for the state argued. Senior Assistant Attorney General Karen Brodeen said smoking “should never be a route of administration for any medicinal product” and “is a crude delivery system that delivers harmful substances.” The amendment nowhere specifically authorizes smoking while it does give the state “broad authority” to regulate medical marijuana use, the state argued. 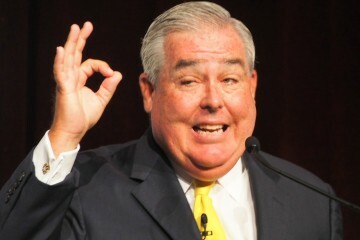 But John Morgan, the Orlando trial lawyer who largely bankrolled what was known as Amendment 2 and initiated the lawsuit, is among those who maintain that the smoking ban runs afoul of the Constitution. Gievers did not rule on the challenge Wednesday. A U.S. Supreme Court decision that overturned a federal law prohibiting states from allowing sports betting won’t have an immediate impact in Florida, where lawmakers say they’re not going to bring up the issue before voters weigh in on a constitutional amendment in the fall. The ballot proposal, Amendment 3, would give voters control of gambling expansions, decisions now largely left up to the Legislature. But opponents of another amendment asked a judge this week to strip from the ballot a proposal that would do away with greyhound racing. Amendment 13, placed on the ballot by the Constitution Revision Commission, would outlaw greyhound racing at dog tracks by 2020, a process known as “decoupling,” but would allow tracks to continue to operate other, more lucrative gambling activities, such as slot machines and poker rooms. 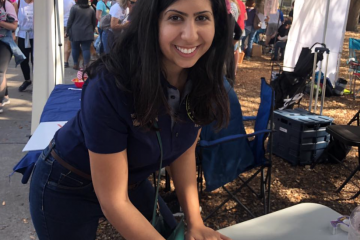 The Florida Greyhound Association and its president, breeder James Blanchard, maintain that the proposed ballot title and summary don’t fully inform voters about the impact of the amendment if approved. The proposal does not advise voters that dog tracks still would be allowed to broadcast live greyhound races from other states, and would only ban “commercial” dog racing, which means that kennel clubs would be allowed to continue dog competitions, according to the complaint. The lawsuit also alleges that the text of the proposal — which voters won’t see on the ballot — could have implications far beyond the greyhound-racing industry and could apply to racehorses as well as hunting dogs. 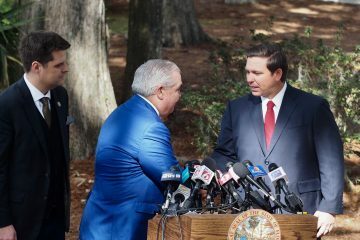 “They approved every single word that was in every single ballot summary and ballot title,” Brecht Heuchan, who chaired the commission’s Style and Drafting Committee, told The News Service of Florida. Attorney General Pam Bondi filed a lawsuit against five drug manufacturers and four distributors, accusing them of causing the opioid crisis gripping the state. “My doctors are really not concerned with the risk because I’m still alive. In ‘86, I was given three to five years to live. And I’m still here.” Plaintiff Cathy Jordan, who has Lou Gehrig’s disease, during a trial in a case challenging a state law that bans smokable medical marijuana.